Today, December 3rd only, Amazon is offering up to 50% on select basketballs and hoops, including brands like Spalding, Wilson and more! 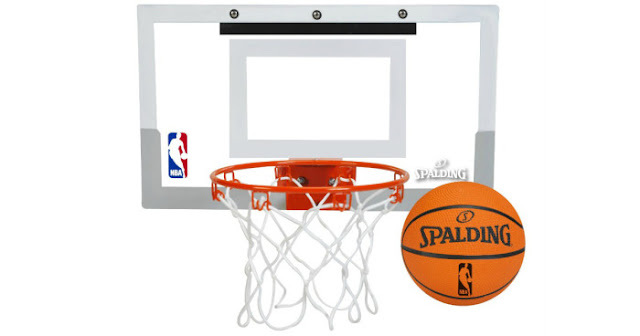 As one idea, you can score this Spalding NBA Slam Jam Over-The-Door Mini Basketball Hoop for just $17.99 (regularly $39.99). This basketball hoop measures 18 x 10.5 inches and includes a 4 inch rubber ball. The hoop features a slam jam breakaway rim design so your kiddos can dunk like the pros. It can be easily mounted with the pre-assembled bracket that is foam padded to keep your door from getting any scuffs or marks.